It's been a strange couple of days. I've been spending most of my time mulling over the past year, noting the ways life has changed. For 4 years, Brad and I would fly to the U.S. from Tokyo where we would spend an equal amount of time with his family in Colorado and my family in Minnesota. We would fly from Minnesota to Tokyo mid-August and would step off the plane ready to face another year exploring Japan. It was strange flying from Minnesota to Colorado the other day because it was on the exact day we would have needed to fly back to Tokyo. For some reason, it's been hard to wrap my head around that. It's not uncommon, when I'm feeling nostalgic, for me to look back at some of my early posts on Tokyo Terrace. Starting that blog was the best thing I could have done for myself after moving to Japan. It helped ground me in a place where I didn't think I could grow roots. It helped me discover new things that I love to do. Now that I've "graduated" from Tokyo Terrace to Set the Table, I thought it would be nice to revisit some of my early recipes and revamp them a bit. One of the most popular recipes from Tokyo Terrace is for Fig Jam. This recipe is almost exactly the same but I've added rosemary and vermouth (in place of white wine). 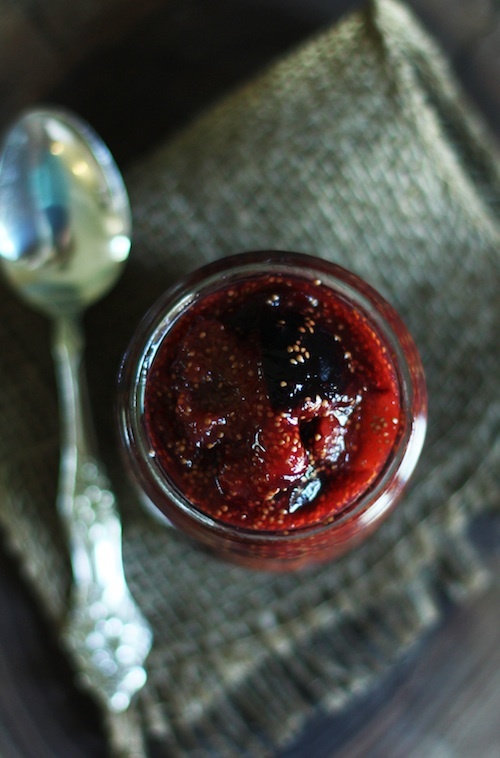 I maintain that this is the easiest fig jam recipe ever, which was my claim back in 2009. It has never failed me and always results in a vibrantly colored, flavorful jam perfect for serving with cheese plates, adding to grilled cheese sandwiches, or as an accompaniment to grilled pork. 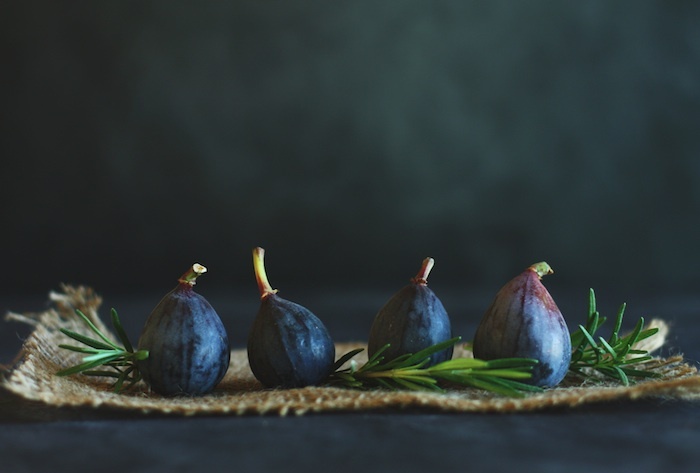 Another great idea that I'll be sharing with you on Friday is using fig jam in a cocktail. Yessir.